Some of the essays can serve as discussion triggers for important issues that are the focus of the 2014-15 Mishpachah initiative. 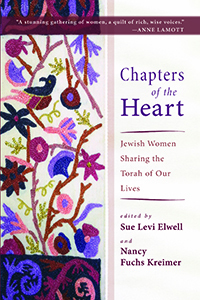 Book Club orders for Chapters of the Heart can be directed to the customer service department (541-344-1528, fax (541-344-1506, or email: orders@wipfandstock.com). Discounts of 20% are available on orders of 1-4 copies and 40% for orders of 5 or more books.